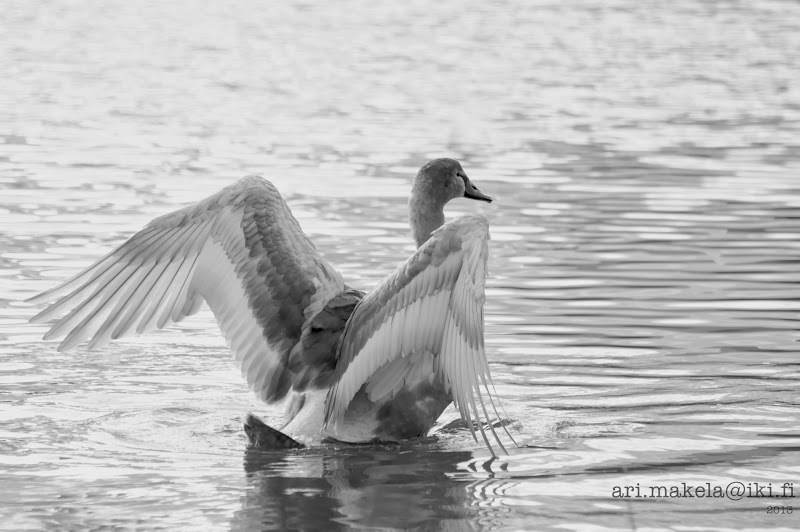 A young Mute Swan spreads it's wings at Töölönlahti. Nikon D90, AF-S VR Zoom-Nikkor 70-300mm f/4.5-5.6G IF-ED. ISO 400, 210 mm, f/5.3, 1/640 s.
Mute swans nested in the Summer at Töölönlahti and one can see them almost every day there. I've only once spotted them at Eläintarhanlahti, the next bay. They are very tame and easy to shoot. This is just one of the many photographs.